Long before there was a Ladies Professional Golf Assn. there was the Women’s Western Golf Assn. 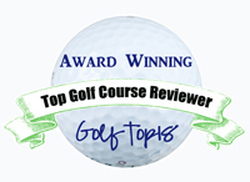 This organization has spearheaded golf for girls and women since 1901. Susan Wagner has represented the WWGA on the public relations and media side. 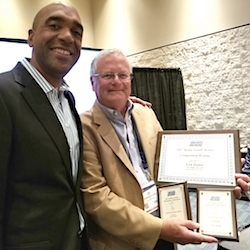 This week the WWGA honored two of its longstanding leaders. Susan Wagner and Audrey Peterson were presented with Woman of Distinction Awards at the WWGA’s annual meeting at Sunset Ridge Country Club in Northfield, IL. Both are extremely deserving of this recognition. 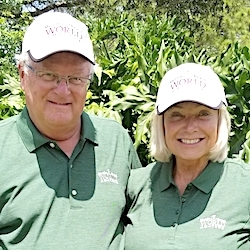 Between the two of them they’ve spent over 70 years volunteering their time, energy and talent to both the WWGA and its Foundation, which has awarded academic scholarships for the past 43 years. Over the years the program has distributed over $3.35 million to 600 scholars from 45 states. Wagner, formerly of Flossmoor and now living in Florida, has been a WWGA director since 1977, when the Western Amateur tournament was held at her home club. 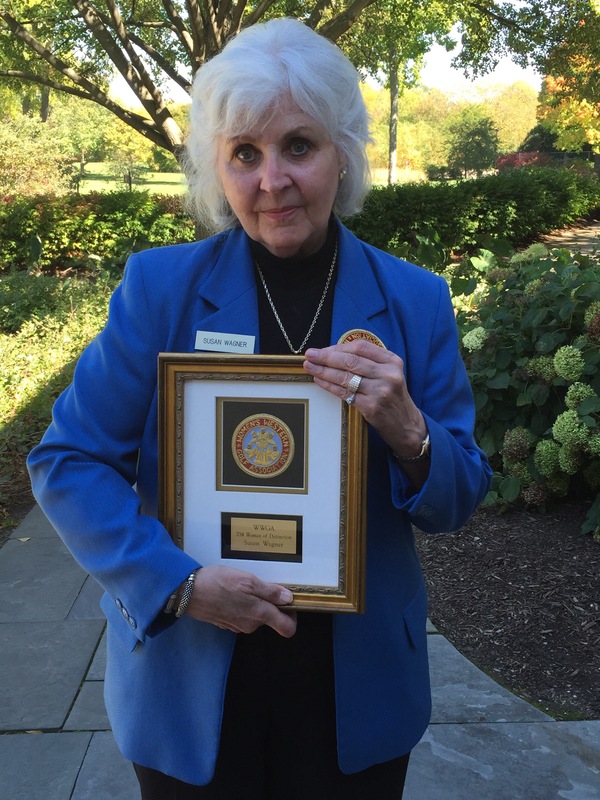 In recent years she has served as the WWGA’s national public relations and media director. She was the organization’s president in 1997-98. Peterson, a director since 1980, was the WWGA president in 1991-92. She has also worked in a variety of other areas and has chaired the organization’s Amateur, Junior and Senior championships. Her home club is Blackhawk, in Madison, WI. Audrey Peterson, a frequent competitor in WWGA competitions, was a past president and tournament chairman for the organization. The Woman of Distinction awards are a big deal for this organization, which doesn’t get the attention it once did when it conducted the Women’s Western Open – for years the biggest event available for women professional players. Its champions included Helen Hicks, Babe Zaharias, Patty Berg, Betsy Rawls, Louise Suggs, Mickey Wright, Carol Mann, Susie Maxwell and Kathy Whitworth. 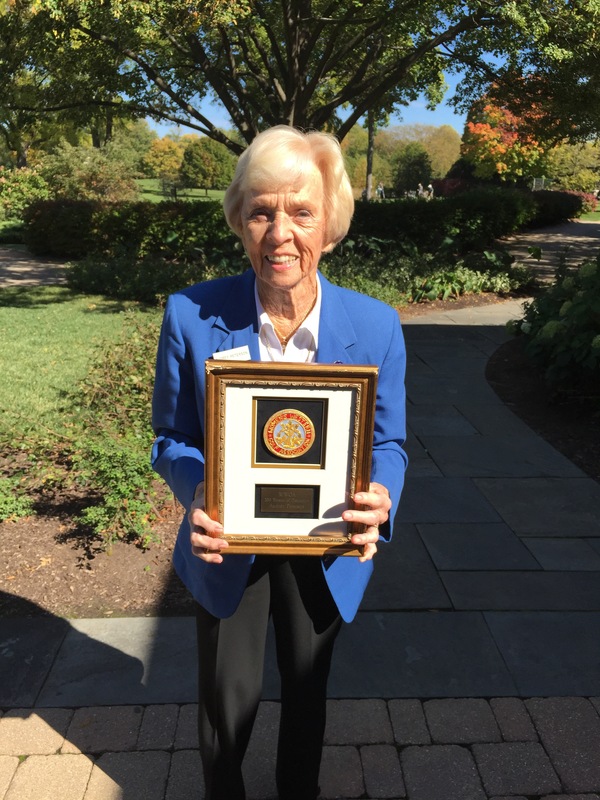 Chicago golf historian Tim Cronin outlined the WWGA’s rich history in its latest annual meeting, and that spotlight the Women’s Western Open. That event ran from 1930 to 1967 and its revival has been a subject of discussion in Chicago golf circles for years – especially since the WWGA’s more recent merger with the Western Golf Assn. Past winners of the Woman of Distinction awards were Suggs, Nancy Lopez, Peggy Kirk Bell, Betty James, Wiffi Smith, Mann, Whitworth and Wright on the professional level and Carol Semple Thompson, June Beebe Atwood, Alice Dye, Judy Bell, Ann Upchurch and Co McArthur on the amateur side. Mike Munro, who created one of the nation’s first indoor golf practice facilities in the country, revealed that he’s sold his White Pines Golf Dome in Bensenville, IL., to KemperSports, the widely-respected Northbrook-based golf management firm. Munro operated the Dome for 23 years and will still be involved in the operation of the facility – a hotspot for Chicago golfers during the chilly winter months. The first event of the PGA Tour’s 2014-15 season wasn’t a good one for Illinois’ players. Kevin Streelman, D.A. Points and Mark Wilson all missed the cut at the Frys.com Open in California.